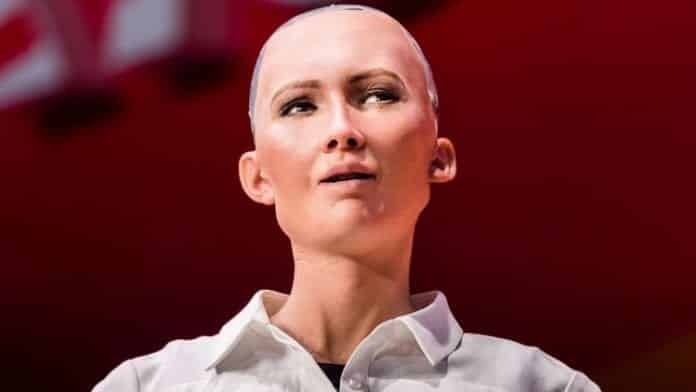 Sophia, the famous humanoid robot which had been ridiculed since getting the Saudi Arabian citizenship has now another update to sweep everyone off their feet. Sophia took her first few steps. It is a big revolution in the domain of AI and robotics. And of course, this happened in CES 2018, the annual Tech Trade show happening this year in Las Vegas. A Hong Kong based company, Hanson robotics, founded by David Hanson announced its partnership with Rainbow Robotics and Drones and Autonomous Systems Lab at the same event to help Sophia become a fully-fledged humanoid by integrating with DRC-HUBO body which possseses mechanical legs and ability to walk like a human. In 2015, this DRC-HUBO body has won the DARPA Robotics Challenge. Sophia is able to create over sixty facial expressions, actions of looking straight into people’s eyes, holding human-like conversations. With the kind of material used to create Sophia, she looks real human-like with real skin and skin movements changing like human showcasing different expressions.